Our Theory Class will commence on Monday 25 January 2016 at Waterford Institute of technology. The course costs €50 per person and this also includes 2016 membership of South Eastern Amateur Radio Group. Classes run from 7 p.m. to 9.30 p.m. for an initial period of 16 weeks (some additional classes may be added as required). 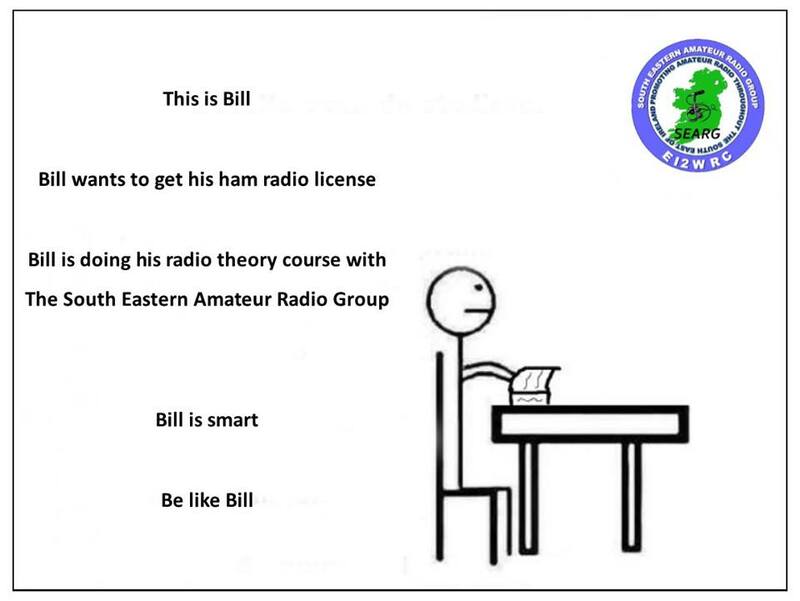 If you are interested in gaining an amateur radio license and have not registered for the course yet, then contact Sean Byrne EI2HZB.